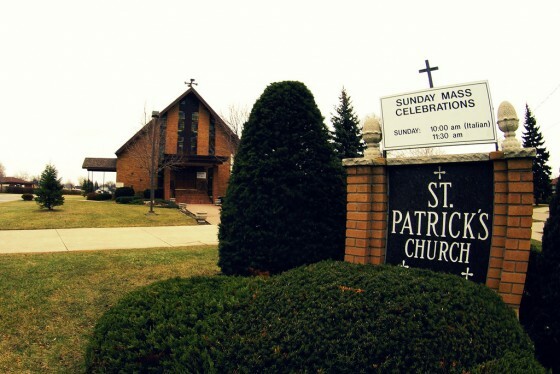 St. Patrick’s Church, nestled in a pocket of Windsor’s West End — bordered by Tecumseh and Totten Streets — and up for sale ever since it closed in June of 2010, has at last been sold easing fears that the neighbourhood gem would be demolished. Father Hoang Nguyen and parishioners of St. Philippe and St. Anne Vietnamese Martyrs Parish have purchased the building and will establish their own place of gathering and worship. St. Patrick’s, once a Roman Catholic church that featured an all-Italian service that catered to the neighbourhood’s vast Italian population, closed in 2010 and was split with its neighbouring rectory (priest’s house) as separate properties. The building has sat locked-up and vacant ever since.